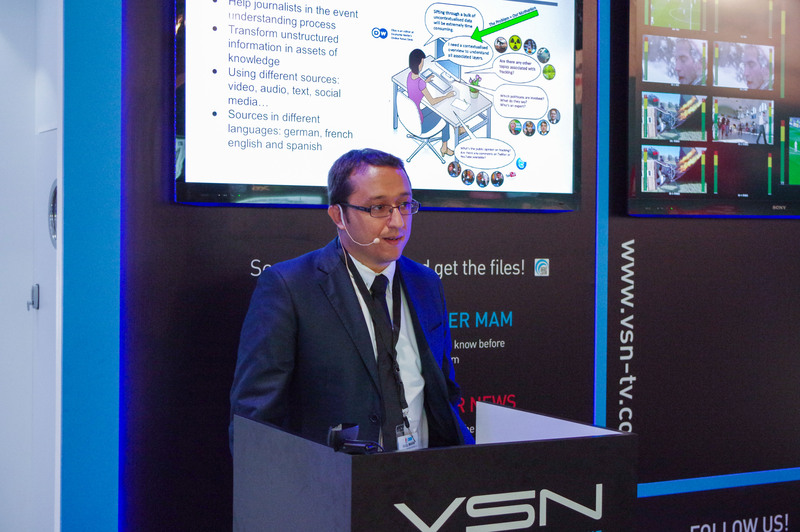 VSN attended the IBC 2015, Amsterdam, Netherlands, to present its latest features and the EUMSSI achievements at a spectacular booth. The IBC (International Broadcasting Convention) is the premier annual event for professionals engaged in the creation, management and delivery of entertainment and news content worldwide. The IBC remains the principal event for the industry, and it continues to go from strength to strength. It now attracts more than 55,000 attendees, drawn from more than 170 countries, each September in Amsterdam. EUMSSI flyers were available to all the visitors. 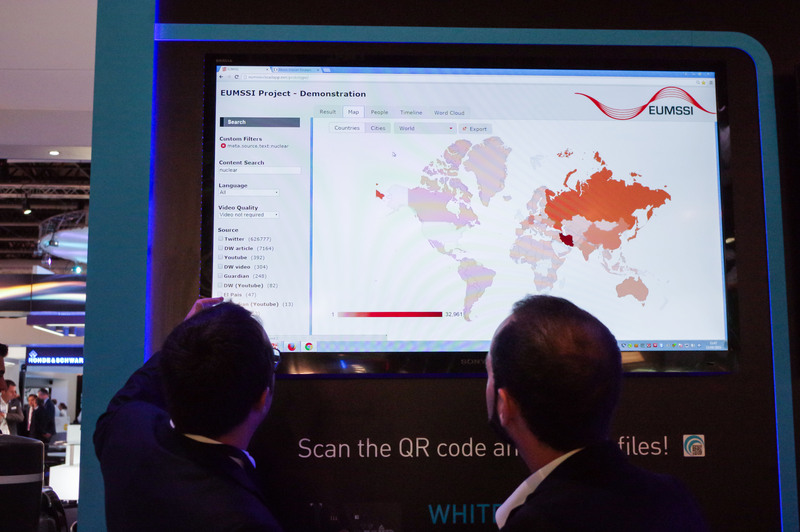 The project was introduced to several potential customers. 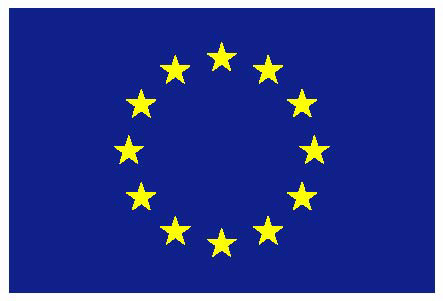 Although the project is at an early stage the costumers showed an interest in the project and they will be informed of future achievements to see how the project evolves. Raúl Marín presented EUMSSI with a slideshow and a live demo to show the current features and the future possibilities.